Obama raises the minimum wage for government contractors, waits for Republicans to explode. 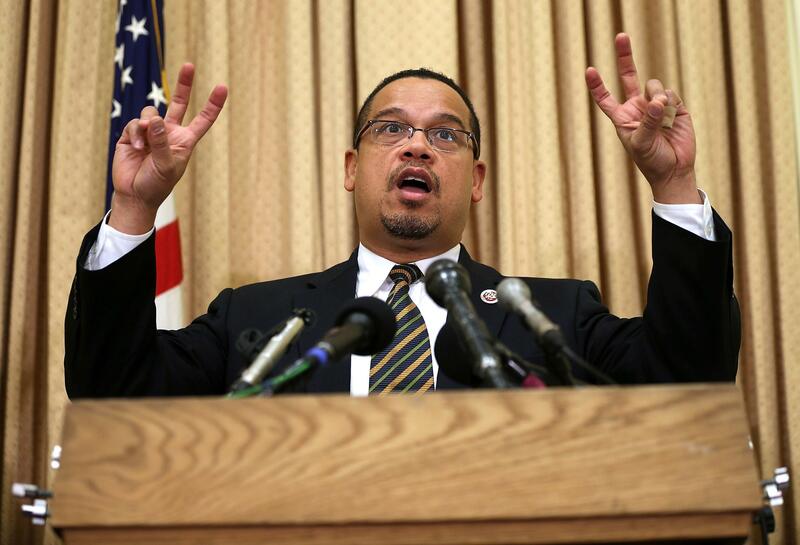 Rep. Keith Ellison, D-Minn., can declare victory. In the State of the Union Address, the President will announce that he will use his executive authority to raise the minimum wage to $10.10 for those working on new federal contracts for services. … The increase will take effect for new contracts after the effective date of the order, so contractors will have time to prepare and price their bids accordingly. Today, Ellison spiked the football. “Activism works!” he said in a short video message. So, with the proverbial stroke of the pen, the president has cheered the left of his party and raised wages for maybe hundreds of thousands of people. He has also stoked some predictable anger from Republicans. Iowa Rep. Steve King, appearing on CNN, said basically the same thing, citing the part of the Constitution (Article II, if you’re playing at home) that he thought had been shredded in plain sight.